It only takes one blizzard, excessive ice on power lines, or a computer board failure in the furnace system to leave you without heat at time when you need it most. And if you look around these days, you can easily imagine what a holiday at the North Pole feels like, so heating is the last thing you would want to lose. Here are some things you can do to make sure you stay warm in a time when it may be difficult or impossible to use your primary heating system method. Before you begin planning how to heat your home in a crisis, find out what kinds of advantages and limitations you are dealing with first: oddly shaped rooms, hallways, doors, and other structures can change the flow of air, and thus heat through your home. In some cases, the answers may surprise you and lead to changes in how you get the most out of alternative heating method placement. If you have central heating, make sure that you know which order heat is delivered to the registers. Usually, the registers closest to the furnace will receive hot air first, while those further away may receive cooler air, si take advantage of register order. Instead of closing off a room that is very close to the boiler, use it more and close off rooms that are further away. Take temperature readings at different heights, around corners, and in other odd room or hall arrangements, to make a good idea of how air enters and exits each room, then you can see how the temperature changes are affected by that air current. In some cases, using a small fan in one area will push the heat further into the room instead of building up in a corner. If you have cats, check where they are inclined to nap that aren’t directly related to air registers: these will be warm spots or have warmer drafts that you can take advantage of. Find out where and how cold drafts influence the way heat moves through so you would know how to use alternative methods that may not supply as much heat. If the drafts are pushing air inward, put your heating source in front of the draft so that it moves the warmed air in along with the cold. You should still try to limit these drafts because the supply of colder air coming in is endless, while the heat produced by your system is limited. Maybe you have plenty of oil or other heating fuel, you made sure all furnace heating system and maintenance needs were taken care of, and even have a “smart” thermostat or other “smart house” technologies that ensure is at an optimal temperature every room. All this can lead you to believe you can’t lose your primary source of heat, but you would be wrong. The more complicated your heating system is, the more likely it is the system relies on electricity. The amount of electricity required to run blower fans, pump fuel into the furnace, ignite the fuel, and carry out other activities may be more than you provide. If you don’t already have a tested system in place for generating power off-grid, then blizzards, ice storms, and other events will lead to serious power disruptions. Unless you can generate sufficient power, or your heating system does not require electricity, you must take into account alternative heating methods. It can take years of trial and error, plus a range of equipment to generate enough electricity to live off the grid. If you are especially low on funds, and need to prepare for winter power outages now, buy a generator, or household scale batteries that can be charged and stored away for use during a storm. Your best option will be alternative fuels and heating devices, as well as good information on how to make the use of it. If you are already reeling over the cost of home heating fuels such as wood, coal, oil, and gas, then you might wonder how to afford alternative fuels. You can make some from household junk and you can buy other in small quantities and store away for a time of need. Here are three alternative fuels that will work in just about any situation so long as you have adequate ventilation and can safely manage a fire. This is one of the easiest and cheapest to make: take newspapers, junk mail, and just about anything else made of paper (try to avoid glossy, plastic, or heavily dyed pages as they will smell bad when they burn) and tear it up into shreds. Next, soak the paper in water for a few days to make it as soft as possible. To make the brick shape, set the papers into a pan and squeeze the water out. Once the bricks are dry, you can burn them just as you would wooden logs. It is best to buy a wide range of candle sizes that can be used for different locations and needs. For candle heaters and similar radiative devices, you can use tea lights and votives. If you want to heat up a smaller area and get more light at the same time, use a taper. Seven Day Candles or the larger jar candles may not offer much in the way of heat or light. Aside from the fact that many of these candles are made with thinner wicks that don’t work well, the heat from them is usually trapped by the jar itself. You can also make candles from just about anything that has fat or wax in it. This includes tubes of chap stick, cans of vegetable shortening, sticks of butter, crayons, or anything else that you can get some kind of wick into. For smaller “candles” you can use toothpicks or other splinters of wood. Rolled up paper will work well for shortening can candles and others that are larger in size. Even though it takes a lot of experience to make wood, or rubbing alcohol, you can still buy it at a fairly low price. Just purchase a bottle or two each time you go shopping and store it away for a time of need. You should have one kind of stove for each fuel that you are setting aside. Paper logs may be the easiest and cheapest fuel to make, but they will be useless if you have no safe place to burn them. Burn them in an outdoor open barrel, or set up a wood stove indoors with a proper chimney system. Even though you can do quite a bit with lengths of stovepipe, they must still eventually attach to a suitable chimney. Remember, down drafts and other problems can truly make burning these kinds of fuels indoors an art form. While dampers in the stove pipe may alleviate some of the problem, it still takes a bit of work and maintenance to use these systems safely and to the maximum benefit. You can purchase prefabricated heaters made of clay flower pots, or you can make your own. If you decide to assemble your own, be sure to use zinc free washers, nuts, and bolts. When heated, metal hardware with zinc in it can give of toxic fumes. Since the candle heater can raise temperature of the metal to several hundred degrees, it will not be worth your safety and well being to use fittings that have zinc in them. During the winter months, it is also very important to periodically dry out the ceramic pots in an oven. This will reduce the moisture content and ensure that heat will flow through the pots more easily. If you choose to make your own candle heater, do not forget to include a saucer cap on top of the flower pot array. Once the candle heater is going for about an hour, you will have more than enough heat to warm up food and beverages in heat safe bowls. I do not recommend large, or heavy cookware. Anything light and thin that transmits heat easily will suit your needs better. As with candle heaters, you can also purchase prefabricated rubbing alcohol stoves. Or, if you have some soda cans onhand, you can make one from those. Since rubbing alcohol stoves are very efficient, do not be surprised at the amount of heat you will get from such a small device and a relatively small amount of rubbing alcohol. Do not forget you can also put a metal tripod over the rubbing alcohol stove and use it for cooking. Overall, the rubbing alcohol stove will be more efficient in this area than the candle heater. Even though propane bottles cost more than rubbing alcohol, propane devices are very useful for emergency situations. Propane stoves or heaters can be used for cooking meals, as well as providing heat. Depending on the cylinder size and the setting of the stove or heater, you may get just a few hours from each cylinder or much more. If you have more time to work with, devise other systems that can be used without burning various kinds of fuel. You will also need to find a way to transport the heat into each area of interest to you. Did you know that a medium to large compost pile can produce enough heat to warm up water in pipes buried in the pile? All you need to do is take a coil of plastic pipe and fill it up with water. Regardless of the temperature outdoors or the weather conditions, your compost pile will always be producing heat at the core level. To get some of that heat into the house, continue the plastic line into your home and then pump the water around the room and back out to the compost pile again. You can also add water radiators with metal fins to disburse the heat more readily as the water is piped around your home. Try to limit your pump size to ones that will run on a 12 volt battery. In an emergency, just keep a fresh and fully charged car battery or other deep cycle battery on hand to run the pump. If you have a sunny spot on a rooftop or in your yard, then you can generate a good bit of heat with a solar can heater since these devices only require an insulated box with a glass covering. Inside the box, set up series of plastic pipe, and then encase the pipes in cans. After the main system is built, you can either run water through the pipes, or simply let hot air from the pipes vent into your home. As with the compost pile, pumping water in will also give you the advantage of having hot water on hand in a time when none may be available because of the weather situation. When it comes to managing your wood pile, make sure the wood stays as dry as possible. If you are concerned about being trapped indoors during a blizzard or other severe weather, keep as much wood as possible near the house. 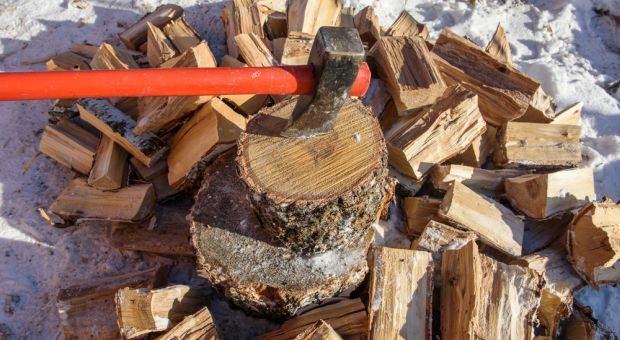 Keeping enough wood chopped and ready to burn for at least three weeks will always be to your advantage. You can also try to find a place in your home to supply at least one weeks worth of heat so that you can stay indoors as much as possible. Many people don’t realize that you can burn less fuel without losing out on a lot of heat efficiency. Bank the fire every few hours so that the existing heat has a chance to circulate. Once the fire is burning well, don’t add other materials such as paper or cardboard. If you are going to burn these materials, do so when you aren’t planning to burn wood until the embers from the other material are in a condition where they can be banked. You can revive them easily enough with wood, however mixing fuel types can make the fire burn too fast or too slow and cause it to be less efficient. 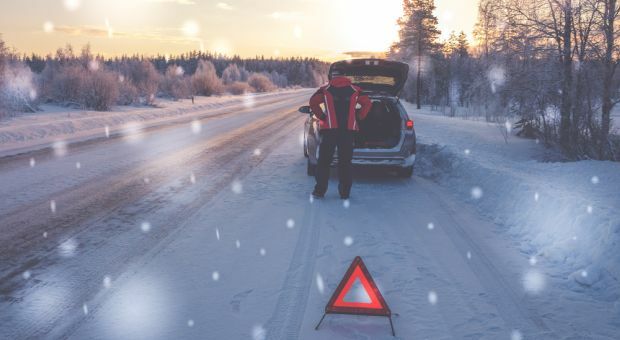 If the temperatures get cold enough, fuel lines might freeze up. Make sure that you know how to thaw the lines out safely, as well as how to tap the main tank so that you can keep some fuel onhand indoors. Have a valve installed so that you can cut off the main fuel line, and attach a line inside the house that will draw from a bucket of fuel. Just be sure to monitor the system each time it is burning for the sake of safety and fire prevention. You can block off windows at night, and then open the shades during sunlight hours to let heat in. Running ceiling fans can also help push warm air back down into the room where you need it most. In the most extreme situations, you can also pitch a tent in one room of your home and stay in it to conserve as much body heat as possible. Take the time now to practice using candle heaters and other devices outside the tent, as well as how to get the most from them in a time of need. Remember that hot food and beverages can also go a long way to preserving your core body temperature. Even if you cannot heat up a whole room using alternative methods, you may still be able to warm of food and beverages that will help you avoid freezing to death. solar powered coffee mug or other devices that can be used to heat up water or soup without using electricity or a fire. At this time, there is more debate than you might expect about whether or not the planet is heating up or cooling down. If you have ever seen the way ice melts in a beverage, then it may be easier to understand why some data points one way, while other studies indicate the opposite. Regardless of how or why, the fact remains weather patterns are becoming more extreme, which means that you need to all you can to prepare for extreme cold and situations where your primary heating system fails. Having a few devices and alternative fuels onhand may not seem like much, but it is more effective than doing nothing at all, or simply hoping for the best! this morning the temperature here in Medford Maine is minus 28 degrees I have propane heating 2 sources and a pellet stove and a wood burning stove. a dozen electrical heaters and a big generator. I hope I’m prepared enough. If not it’s time to move. Hope you are coping with the awful conditions at the moment over there? I find your articles informative and useful even if we in the Uk dont experience the ame life threatening situations. My wife and i always feel for the animals when it is like this. We hope you ,your family and animals make it through ok and have a happy new year. be sure to have a CO2 detector in your house. Any of these methods could cause a build up of CO2 and since you’re worried about cold conditions, it’s hard to have open windows, yet sometime you must (even just a little). Good point ‘Grammy…’. I had a fire extinguisher salesman tell me once, ‘you’d be amazed, people have a $50,000 boat or a $250,000 motor home or home and they buy a $19.95 fire extinguisher.’ Very important! also, at least once a year, turn the extinguisher upside down and hit it several times with a good stick (not with metal), the powder settles and needs to be ‘stirred’ occasionally. I don’t recomend walnut, especially black walnut because of a high oil content. we had some tops on a property we gave to a neighbor that had lain there for 3 years. when he used it in the winter, his chimney caught fire. yes, he had it cleaned and it looked clean. this man, the son of farmers, had been burnig wood for decades. Old-timers said, get rid of the walnut. elm even if aged for several years I would keep on the side for emgerency, or late winter fires. it smells like urine when it burns. best wood, if you can get it is ironwood. we like cedar because it makes the house smell clean, but never use too much. again, it’s high in oil. sassafrass smells great, too, but it traps bubbles of oil and moisture and when it burns, it spits sparks all over. definitely not for a campfire! 🙂 save it to make insect-proof funrniture. WE live on Long Island, NY. We have natural gas heating. a few years ago I found an old timer with the gas company to inquire just where the pumps were that supplied the pressure for us. He said in CT. and NJ. That is important to know when the electric goes down.. AS a backup, we have a big battery to supply the fan for the hot air system and to fire the furnace. That is backed up with a small solar unit. WE also have a Big Buddy propane heater which can be used indoors. It can be supplied with propane from the small containers and also with a hose that can be connected to a standard BBQ tank. Lastly we have a wood burning fireplace and several cords of aged wood. Hope we only have to use the fireplace for its lovely visual and relaxing effects…. 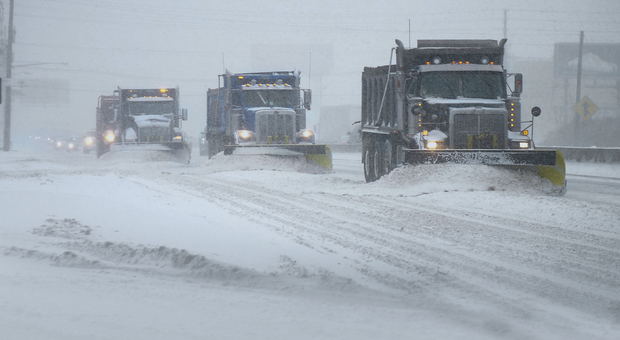 It takes a lot of time to be ready for a very cold event – maybe what we have done will help some others. Here in texas this morning the temperature was 25 degrees. We are not used to such cold temperatures. Always dress in layers and keep your head warm. and never get your feet wet. Try to wear wool and avoid denim. Denim isn’t good for keeping warm. Drink hot liquids like coffee, and cocoa. If outdoors have a fire. You can burn almost anything to keep warm, but avoid plastics and trash. We have ample amounts of oak and pecan wood here in texas, You can burn old furniture,, pallets, brush, and paper. 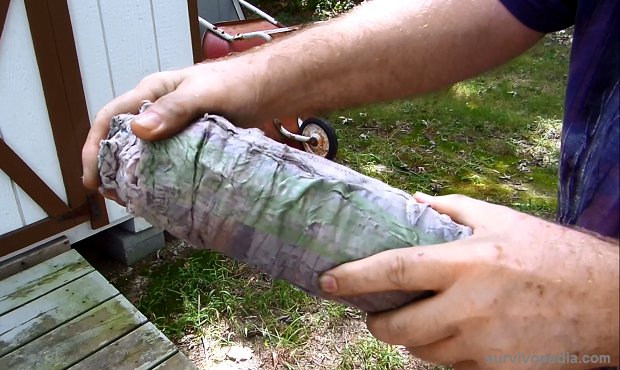 Just be sure to twist the paper so it resemble logs and will last a little longer. Stay dry and keep your belly food with foods like chili, stew, or even pasta and pasta sauce. If you heat fails in your home, you can use your stove as a source of heat or even your clothes dryer. Just turn your oven on and open the door on the stove. Turn on all the burners and you have a heat source. On the dryer disconnect the vent line and position it indoors to discharge the warm air into the home. When sleeping use several wool blankets in layers or even use an electrical blanket. These are some ideas I think would help anyone to keep warm. Hope this helps. Willowa needs to understand the difference between co2 (carbon dioxide) and the toxic and potentially lethal co (carbon monoxide). co monitoring is critical if you burn anything indoors for heating. Great Article!! I have a couple of cans of sterno, a few bottles of alcohol(plus stoves)a propane grill(for cooking) and a gas stove inside the house.. even if the electricity goes out you can still use it, just light a match near the burner as you turn it on. 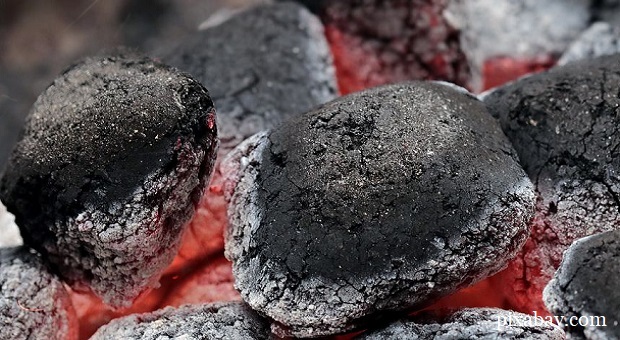 I also have used “Match Lite” BBQ briquettes with great success. Used them once at Dear camp long ago when the white gas and propane stoves refused to light..it was raining big time!!!!!! placed a few of them in a pie time and boy howdee did they work good!!!!!!!!!!!!!!!! I don’t recommend burning walnut or hickory. Gun stock and furniture makers will pay you very good money for a walnut tree which has not been sawed into firewood. Barbeque restaurants love hickory: check for prices. Some lumberyards will pay well for cypress if you have it. Skip Chinese tallow trees and swamp maple unless you are desperate. Never burn a log with a hole through it. The hole will create its own draft and will smoke up your room. Homestead magazines will tell you not to use pine but in North Florida it’s often the only wood available. Season it two years and cut it small. If you burn it hot it will not produce creosote. Directions for making a rubbing alcohol heater??? As preppers keeping our homes warm under adverse conditions is one of the top things on our list. If you have a good wood stove and reliable source of wood you’re already far ahead of the game. Up here in Canada we’re used to cold temps in the winter so we try our best to prepare for power outages and things like that. At least for those of us with more than two brain cells to rub together. LOL! Unfortunately this winter is particularly brutally cold. We might as well be living in Siberia. This winter we’re regularly having days and nights where the temps are dipping below -30C and -minus40C with plenty of blowing snow thrown in for good measure. This winter road conditions are deadly this year.. One thing I noticed that Carmela didn’t mention is a kerosene heater. Kerosene is still RELATIVELY cheap and modern kerosene heaters put out a good deal of heat. As far as I can tell you can almost store kerosene forever. Heaters of this type including propane WILL produce carbon monoxide so that has to be taken into account. If worse comes to worse and you find yourself in an extended grid-down situation in the middle of winter and your fuel supply is coming to an end you should already have filled as many containers as you can with water at the start of the crisis. At this point see if you can get any more water out of your pipes and then close the main shutoff and drain your pipes of any remaining water so that they don’t freeze and burst. Excellent article, Carmela. Thank you for your Article. Looking for alternative methods of heating is paramount. Before any xpected blizzard. A single 55 Ga drum ( empty) imakes an excellent stove. No kit needed. Easy to make, have used North of 60 in Alaska. Stove Burns logs, brush, paper ( leaves a lot of ash) and oil (have used used airplane oil). Stove, used upright can be for cooking. All one needs are a file, chisel, tin snips for flue. You don’t need to hit the fire extinguisher to loosen the powder. You just need to shift the contents. Gently and slowly turn it end over end. You will feel the contents shift. When the shifting feels like it is flowing smoothly, you’ve loosened the powder adequately. We try to remember to do that when we check batteries in our alarms (smoke, co, combustible gases). I guess if we give up Daylight Savings, we’ll just post 6 month reminders. We’ve had really old extinguishers remain viable (in theory). We dump them after 10 years. I wish there was an easy way to have them reclaimed/recycled.. The pressure in the extinguisher can fail. We also keep Kovenex Fire blankets to smother fires. It has worked really well without the mess when a line in our propane BBQ sprung a hole and spewed flames. If we order any more, we’ll order directly from the mfg. We love Amazon, but some of their suppliers are providing counterfeit items.